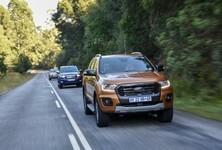 The 2019 Ford Ranger has made landfall in South Africa and we attended the updated bakkie's local launch in the Southern Cape. While changes to its exterior are minimal, the Ranger has received a substantial mechanical overhaul. 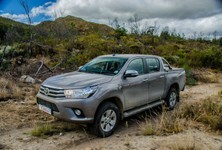 The facelift represents a big leap forward for both the model... and the bakkie segment as a whole. The Ford Ranger is bakkie available in single-, crew- and double-cab configurations. It's been on the market for some time in South Africa and has been a finalist in the #CarsAwards – powered by WesBank. The Ford Ranger is sold in 149 countries and a substantial number of those vehicles are assembled right here in Pretoria, South Africa. The bakkie market receives new or updated models fairly regularly, so Ford has had to raise its game in the segment. 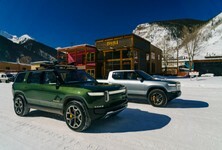 The 2019 Ford Ranger has been subjected to an in-depth overhaul and while changes appear minimal, we can assure you there is a lot of new goodness under its sheet metal. Aesthetically speaking, there are some slight trim changes both inside and out. The big change pertains to the powertrain and the updated model marks the debut of all-new 2.0-litre bi-turbo and single-turbo diesel engines. There's also a new transmission in the form of a 10-speed automatic 'box. In terms of suspension, the setup has been completely revised with the goal of improving the Ranger's on-road refinement and handling. 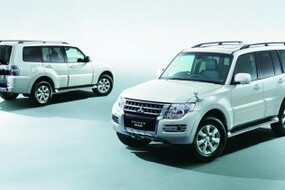 The Wildtrak cabin loses some of the pre-facelift version's orange accents and gains a darker finish for a classier look. These new 2.0-litre turbodiesel engines are assembled at Ford's engine plant in Struandale, Port Elizabeth. 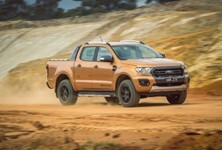 The 2.0-litre bi-turbo diesel engine can be found on the new-spec Ford Ranger Wildtrak and it will also power the eagerly anticipated Ranger Raptor version, which is due to be launched in May 2019. The motor's peak outputs are 157 kW and 500 Nm, with maximum torque available around the 1 750-rpm mark. The new 2.0-litre (single) turbodiesel engine has outputs of 132 kW and 420 Nm, again with maximum torque coming in at 1 750 rpm. Then there's the new 10-speed automatic transmission. It's not a new gearbox per se, because it does duty in the F150 and Mustang models. Ford claims its transmission is smart (it can adapt to changing conditions, to ensure there's no hunting for gears and the correct ratio is always selected). 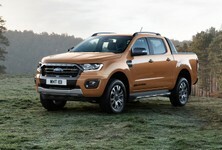 According to Ford, the benefits of the 10-speed automatic are: a fuel economy improvement of up to 9% compared with the current 3.2-litre Wildtrak engine, plus the 'box is said to be capable of locking out selected gears, which should be advantageous when towing or climbing a steep gradient. The new 2.0-litre bi-turbo engine produces no less than 157 kW and 500 Nm. The current bakkie's traditional ladder-on-frame setup is not the most conducive to ride comfort, but Ford has reworked the Ranger's suspension to improve on-road pliancy. The anti-roll bar has been repositioned to behind the axle, which improves roll control, which, in turn, facilitates lower front spring rates. There are now 4 damper rates based on individual derivatives and the standard tyre pressure has been reduced from 2.4 to 2.1 bar. 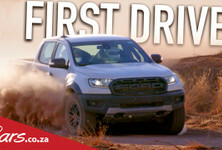 We had the opportunity to drive the Ford Ranger Wildtrak and Ford Ranger XLT derivatives, which are both comprehensively specced given their respective price points. Wildtrak boasts an impressive level of safety tech, such as adaptive cruise control with forward-collision alert, lane-keeping alert and lane-keeping aid, plus automatic high-beam control. The new Ford Ranger also boasts keyless start as well as a new engine-start button. As is the case with virtually all modern Fords, the Ranger benefits from the latest SYNC3 infotainment system. Not only does it offer an intuitive and easy-to-use 8-inch touchscreen interface – navigation and Apple CarPlay/Android Auto compatibility are included. An interesting addition to the range is the Category 1 Thatcham alarm, which is now standard across all Ranger XL, XLS, XLT and Wildtrak derivatives. On road, the Ford's cabin is markedly quieter thanks to the addition of noise-cancelling technology, which has been carried across from the Ranger's Adventure SUV sibling, the Everest. Special lamination has been fitted around the B-pillar to further keep the noise intrusion to a minimum. We had the opportunity to drive updated Wildtrak and XLT derivatives on a variety of surfaces, plus the route included a sojourn through the immense Outeniqua mountain range. The Ford's 4x4 capability remains impressive and, for the record, the Ranger offers up to 800 mm of water wading depth and 230 mm of ground clearance. The 10-speed transmission works in conjunction with a low-range transfer case, hill descent control and diff lock. You can switch from 2H to 4H on the go, which is handy, and we used all of those functions to traverse the majestic mountains. To call the route we drove a "road" would be remarkably kind. The route was recently impacted by fire damage, rock falls and water erosion; it was barely passable. Yet somehow, the Rangers took it all in their stride. The 10-speed auto 'box does a fine job of keeping the engine in the sweet spot of its torque delivery (its electronic mapping is excellent). When you traverse extreme terrain, responsiveness is key... and the Ranger delivers. Open-road cruising allowed us a chance to evaluate improvements to the Ranger's refinement levels. The suspension update, in particular, has improved ride comfort substantially; there's less of that wallowing sensation when road quality deteriorates. It's still a bakkie though and a leaf spring setup will never provide a perfect ride quality. We anticipate that if you put some weight over the rear axle, bump absorption would be even better! And boy, the new engines are refined. The single- and bi-turbo 2.0 motors are punchy, with responsiveness galore thanks to that adaptive 10-speed transmission. It never "hunts for gears", because the clever software does a sterling job of selecting the right gear at the most appropriate moment. With 500 Nm on tap, the bi-turbo motor bodes well for the forthcoming Ranger Raptor. It delivers considerable shove with little effort and in-gear acceleration, in particular, is potent. While some commentators have been unconvinced about this engine's suitability for the Raptor, we think it has sufficient grunt for what the vehicle is designed to do. It's going to take something special for another bakkie to match the Raptor's off-road prowess. If you are in the market for a new bakkie, particularly a double cab, should the updated Ranger be near the top of your list? Most definitely. If you're looking to replace your current Ranger, the newcomer's well worth a look. Don't be put off by 1 fewer cylinder and a smaller displacement in the Wildtrak, it offers commendable performance, plus it's quieter and more rounded than the outgoing model. We think the pick of the bunch is the XLT, which offers a fair balance of spec, performance and value for money. 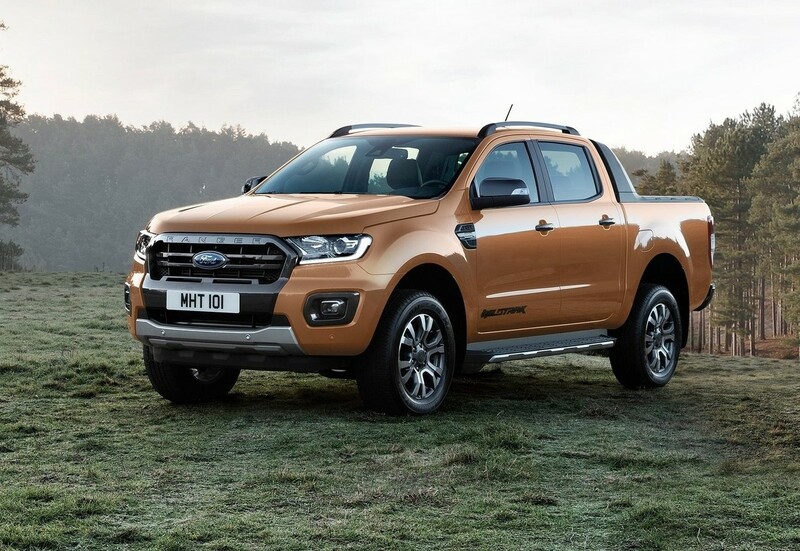 Given the array of improvements in this new Ranger, we expect that Ford South Africa will continue selling these bakkies in vast numbers. The improvements make the 2019 Ford Ranger one of the most complete bakkies on sale in South Africa. Not only have some of the previous issues been addressed, but the overall package is comprehensive, safe and capable.